Freddy d Freitas, Brazilian-born American Jew. Communication-Journalism- Brazilia-University - 1982. 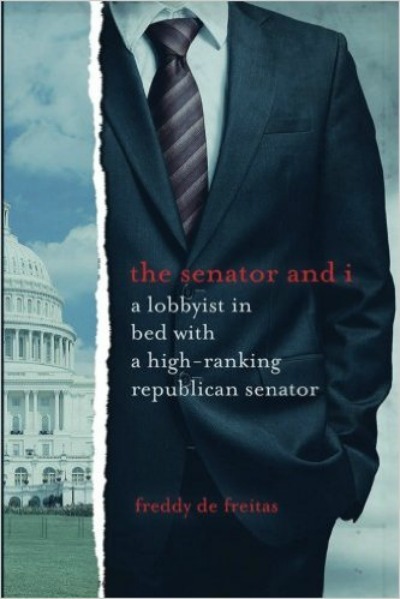 The gay, loving relationship between an influential conservative U.S. senator and a popular former lobbyist is the subject of a new five-act story ---“The senator and I”---written in the form of a book and now available in many bookstores around the world. 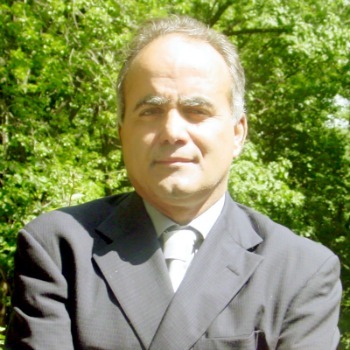 The author, Freddy De Freitas, a Brazilian-born journalist-lobbyist , who lives in New York, said the play focuses on the personal dynamics involved when the closeted senator considers running for President but also wants to continue his more than an eighteen-year partnership with the lobbyist (the “I” in the title) who lives on their ranch with many animals. The animals include a rooster named George Bush. The senator splits his time between the District of Columbia and a ranch in the South. The story also is concerned with the lobbyist’s Orthodox Jewish background and his separation from his family. The couple obviously is very interested in marriage, but are not sure what its impact might be on the senator’s political career. The story deals with the issues that must be faced by a closeted, conservative politician and his partner who want to legalize their loving union, but also face the political and religious realities involved with such a step. The story concludes with surprises that pull together the different themes and make clear the great love between the two men. De Freitas is getting ready to publish some other stories which he enjoys writing in the form of plays. Have You Seen Marcelo Weisman Today? A five-act story –it is a small piece of the puzzle in the history of Argentina genocide and it is dedicated in memory of Marcelo Dupont, a well-liked advertising executive from a respected family who vanished from Buenos Aires at the age of 47 around 6:30 p.m. on Sept. 30, 1982. Seven days later, his body- with strong sequels of torture – was found on a sidewalk in local San Martin de Tours. The center of the story is Marcelo Weisman, Jewish, 38 years old, father of four young kids, a great wife, and managing partner of a successful mutual fund investment firm in New York City. He has a perfect life, but his world is going to fall apart. On August 8, 2014, he flys to his parents’ home to attend his 20-year high school reunion in Madison, Wisconsin. His ill parents have the moment of truth. They tell Marcelo that he is one of the 500 babies kidnapped or born in detention during the Argentina genocide.